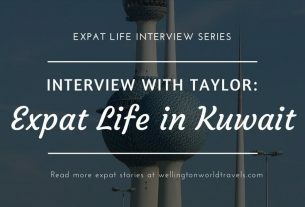 We have been an expat in Qatar for nine years. And the time has come for us to make a decision of staying longer in Qatar or going to another country or moving back home. Going to another country is not really an option. Traveling the world and being an expat for nine years, we are ready to settle down (settling down doesn’t mean we will stop traveling though!). We consider the USA as our ‘home’. So it’s a matter of staying longer in Qatar or moving back to the US. If we are going to stay longer in Qatar, for how many more years? We know that Qatar is not a ‘forever’ place, this is just a ‘for now’ country. You can’t own property here or start a business without a Qatari sponsor. I have been very emotional for the past couple of months, and the pressure of making that decision is looming on us. > Career. My husband is a B777 Captain and he is only 39 years old. If you notice in the US, it takes decades to be a Captain because of the seniority list and the Union. You’ll be close to retirement but the time you become a Captain, much less fly a B777 airplane. It was really hard to give up on something I know he had worked for and have been aiming for his whole life. He is really good at what he does. He has been a First Officer his whole life and only been a B777 Captain for 2 years. He was not willing to give up being a Captain of B777 to be a First Officer of some small airplane just to say that we are back in the US. > Free accommodation. We are living in a fully-furnished 4-bedroom (plus maid room) in a premium apartment compound with a playground, an indoor pool, and a gym. > Free health insurance. The health insurance is also provided and paid for by the company. We just need to show up in the hospital or clinic and show our insurance card, that’s it! No questions asked. Unlike in the US, there is a long interrogation about your health insurance or your capacity to pay for the service. > Free tuition. The kids’ tuition is free from 4 years old and above up to 4 kids. The company pays for everything school-related. Just this year, they also included free school bus transportation. Now, this is one of the things that’s hard to give up. Which company do you know in the US would pay for their employees’ kids to go to a private school? > The lifestyle. We describe the lifestyle here as luxurious and convenient. Or maybe it’s just me. I came from a simple home, and everything here is luxurious. We even have a helper here! Babysitting and cleaning services are very cheap, unlike in the US. > Easy traveling. Since Qatar is in the Middle East, it is easier to travel anywhere. I can travel to Europe in 6 hours. I can go back to the Philippines to see my family in 9 hours. I can go to the US and visit the grandparents in 12-14 hours. > Travel benefits. Personally, I don’t want to give this up. LOL. As a Captain’s wife, I am entitled to travel business class and First class on this airline anywhere in the world. Talk about living the life and lots of pampering!!! LOL. Kidding aside, we have unlimited staff tickets where we get 90% and 50% discounts on all destinations. The kids, my helper, my mom, my siblings, and my husband’s family benefit from these ticket discounts. The seniority of on-loading staff passengers is based on the seniority of the employee. And my husband is quite senior. We can also get a discount on the hotels where the crew stays at. > Tax-free. Everything here is tax-free, including the salary. Though I have read somewhere they are going to start adding a tax on cigarettes, etc., but not sure if they have implemented it already. For US citizens, there is an expatriate tax exemption. I suggest you contact your accountant (if you haven’t done so) because you only pay tax to the US government after a certain amount. Once we go back to the US, we have to pay 28% or 30% tax (not sure – still clarifying with our accountant). Now you know why we stayed in Qatar for 9 years… and that’s only one side of the story – the advantages of staying in Qatar. The more we think about it and rely on our emotions, the more we get confused. You can pretty much guess which is the more logical option. I mean, C’mon! It’s a management pilot position, and B747 is bigger than B777. Plus, it is a well-known cargo company! > Management Captain. 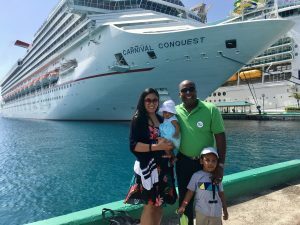 Rather than going back as a First Officer and at the back of the line of 15,000++ pilots, he is going back to the US as a direct-entry Captain plus a management position. All of his friends here who have been a Captain longer than he is had to start as a First Officer. We don’t know if this job opportunity will be available in 3 – 5 years. We got the job opening because we knew somebody from the company… and now, he has retired. Tough world! Knowledge and skills are not enough. Networking and connections are vital too! > Higher Salary. The salary of a Management Pilot is much higher than the normal Pilot. BUT we have to start paying tax now! Also, we have to start paying for the kids’ tuition ourselves. We also have to look for our own place and furnish it. > 401k. I still don’t understand how this works. But my husband said once we go back, we can work on our 401k retirement plan. > Travel benefits. We will be provided with discounted tickets but I am not sure if the extended family can get them and what will be our priority when it comes to being on-loaded. I am not even sure if I can fly business class, much less a First class, anymore. > Gain Citizenship. This time I can work on my residency so I can become a citizen. I couldn’t get it because I was living outside the country. So what are the things we need to do, now that we are considering moving back home? We have been talking about it almost every week – reassessing our options, the advantages, and the disadvantages. Should we go or should we stay? This is one of the toughest decisions we have to take because each decision has its consequences. If we stay here, that job opportunity might not be available in 3 to 5 years. My husband might have to come back as a First Officer. If we go back to the US, then we are giving up those things I have mentioned above. There is no turning back once we made a decision. And it’s hard to come back here, in case we realize we made a mistake. We have friends who moved to the US and regretted it. They were not earning enough money. Now they want to come back to the Middle East. 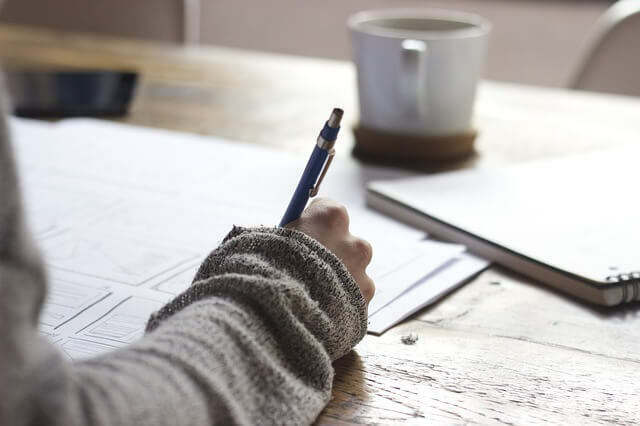 We literally list our responses on a piece of paper – the priorities, goals, pros, and cons. If it’s just the two of us, it’s easy to pack up and go. We have 2 young children (4 years old and 1 year old) that we also need to take into consideration. > Our house is in Georgia. And the job position is in Anchorage, Alaska. We don’t know if we should buy one or rent a house because we don’t know how long we are going to stay there. > We have to look for an Adventist school for our son, and a daycare for our daughter. Oh! My son is in school so we might have to settle some stuff with them too. And he also won’t be able to finish the school year. > Career-wise, I have to look for a new job – the downside of being a ‘trailing spouse’. > He is on his last year of studying Law, and I also have one more year to go before I finish my Master’s. Not yet sure how we can multitask between packing/unpacking, moving, working, studying, taking care of the kids, etc. What do we want in 10 years? Where do we want to be in 10 years? Actually, it’s hard for me to imagine and project into the future right now maybe because I am still emotional. If I am 10 years older and could turn back time, should I have stayed or gone? Thinking long-term, it’s more beneficial for us to go back to the US now. I wanted to stay longer for 3-5 more years. But what difference does it make if we leave now versus leaving in 5 years? Those advantages of staying here are just temporary. If and when we moved to the US, we will gain permanent, long-lasting benefits. My husband is the US citizen, and he has enumerated a lot of benefits. 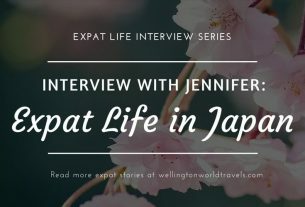 We have called a lot of our friends and families on their opinions – those who know the life of being an expat, those who have worked in another airline, those who decided to go back to the US, and those who decided to stay as an expat longer. Each has their own reasons, priorities, and goals, but they did give us some insights and new perspectives. Now, you understand why we are in this dilemma: Should we stay or should we go. I know decision-making is a process. Whatever we decide, I will let you know guys! We are still waiting for some divine intervention. LOL. I would love to hear your opinion! How do you make decisions? 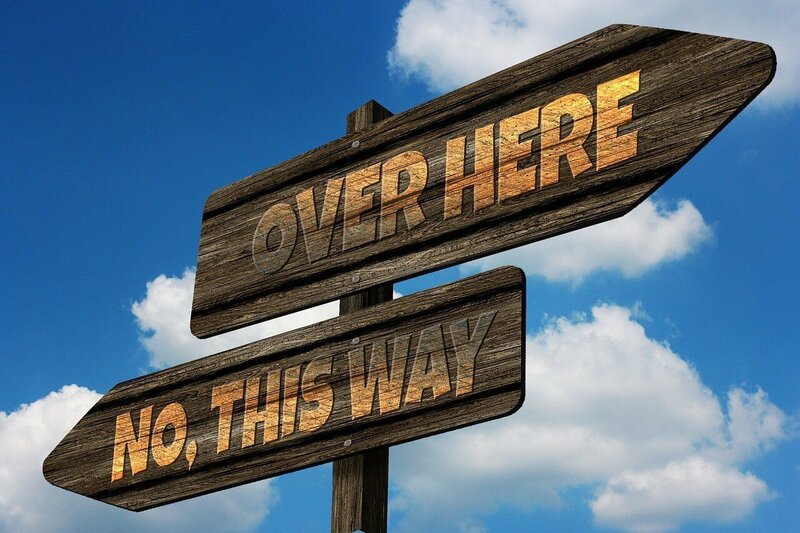 Have you been in my situation (or similar situation) where you had to decide whether you should stay or go? What has helped you make that decision? Wow, what an extremely difficult choice you guys have to make! I know exactly what you mean with the pilot situation as my brother is a pilot in Australia. Moving up the ladder is a hard long slog. Thank you so much for stopping by. Happy to meet a fellow traveler! Make a wise decision. Consider all your needs and your future before conclusion. Thanks for sharing and good luck. Sometimes we really had to make a choice and it is really a difficult so I wish you good luck and have faith of God. He knows better. Thanks, Elizabeth. We are still waiting for divine intervention (or signs) if this is the way He wants us to go. For me, the benefits of staying outweigh the benefits of leaving. I’ve grown up with the luxury of free health care and I know it’s not something I’d give up if I had a chance, especially with my medical history. Good luck with making this decision. Thanks, Chantelle. It’s a tough decision whenever we think about the things we are giving up versus the uknown. Such a tough decision to be faced with. I think at the end of the day we’ll never really know which decision is the “best” until we just go for it. My suggestion would be to just follow your hearts. Good luck! Thank you! I agree we won’t know the ‘best’ decision until we reach there. Hope everything goes well with you. I heard there is an ongoing dispute in Qatar. Are you guys affected? Thanks, Blair. We don’t feel it that much except when traveling and on grocery prices. We can’t go to Dubai anymore, nor we can fly over their air space. And the groceries have become expensive too. 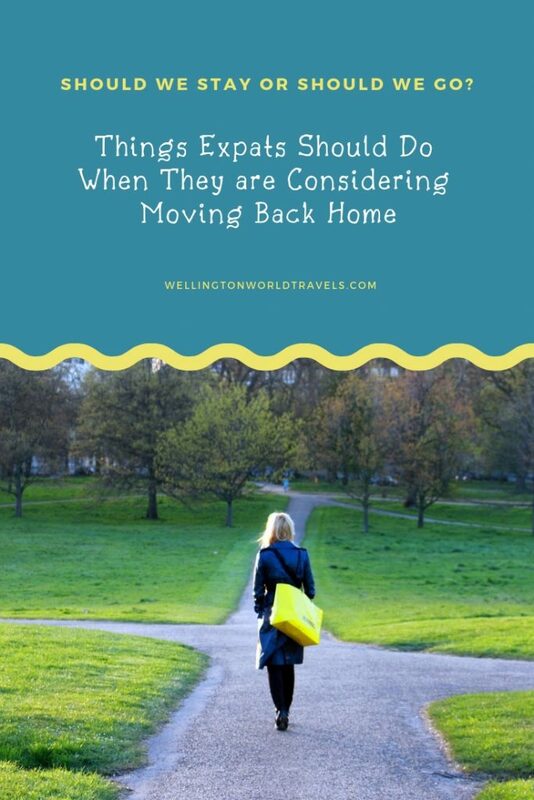 Wow didn’t have any idea at first about being an expat but now there are a lot of advantages of being one. Amazing! Thank you for your wonderful insight!!! It’s a unique experience! Thank you for reading. It seems like you have such a great life there! You definitely have some tough decisions to make! Good luck! Living abroad has its benefits. Thanks, Cassie, for your advice. I think it would be a matter of how I feel as an expat versus how I feel in US. Whichever gave me to greatest pleasure would help make my decision. I have never been an expat but I do travel from state to state in the US and recently had to make a decision as to whether it was time to move on to another state or city and somethings there is a catalyst and sometimes you just feel it in your bones. The thing is my hubby and I have different ‘feel in our bones’. That’s why it is confusing us more. 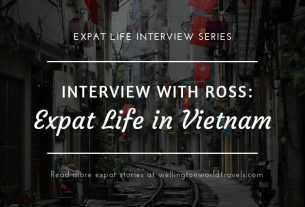 Well, honestly I can’t connect but reading your article got me aware of how expats really feel and what dilemma they face. Thanks for sharing. Still appreciate your thoughts, Neil. This is a tough one. The benefits of staying outweigh the risk. When I find myself in a tough spot like this, I try to separate myself from my emotions and go into some logical thinking, taking into account my life goals, the risk-benefit ratio and the long term effect or benefit it may have on me and my loved ones. Thank you so much for your advice. Yeah. Our emotions are messing up our brains. We are trying to look at everything logically. I know it is difficult to decide. I generally write PROS & CONS list. Thanks. We are constantly updating our pros and cons list. Such a hard decision. It really will impact your entire family! Uprooting back “home” can definitely be unnerving and scary, but it sounds like it would provide a better retirement. However, staying, would allow you to keep the accommodations you are accustom to- those would be difficult to leave. Best of luck in your decision! It is. The staying gives us temporary benefits, while moving back to the US shows better long-term benefits. What a tough decision you have. I’m not surprised you are having difficulty trying to make the right choice. Good luck. Look forward to finding out what you’ve done. Thank you. Will definitely update this post with our final decision. Wow! What a difficult decision- sounds like there are a lot of reasons to stay. Best of luck with making the best decision for your family. That’s what makes it so tough, hard and difficult. 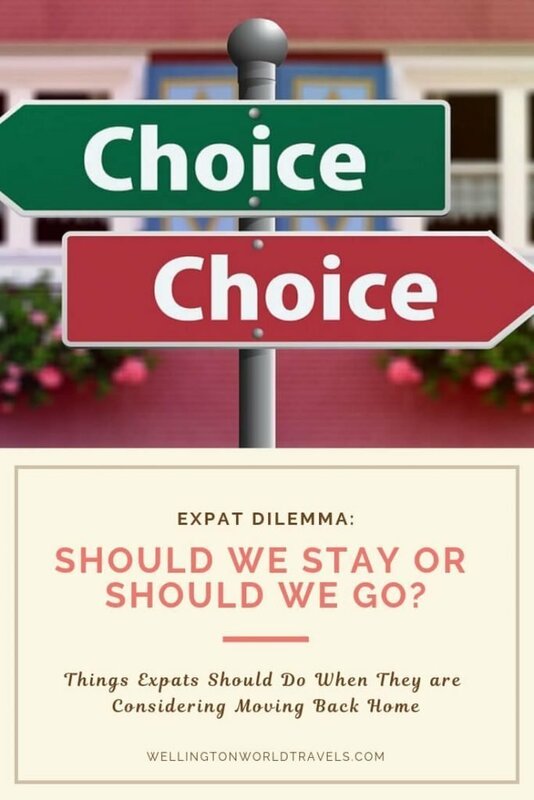 Any of the two choices (stay or go) will affect our lives and future. WOW what a lot of benefits living over there. I can see how the decision would be hard. These benefits is making it hard for us to leave this place.